The field of sports nutrition has received widespread importance in the recent times, owing to the growing consciousness surrounding it. However, one cannot practice sports nutrition unless one is licensed to do so. 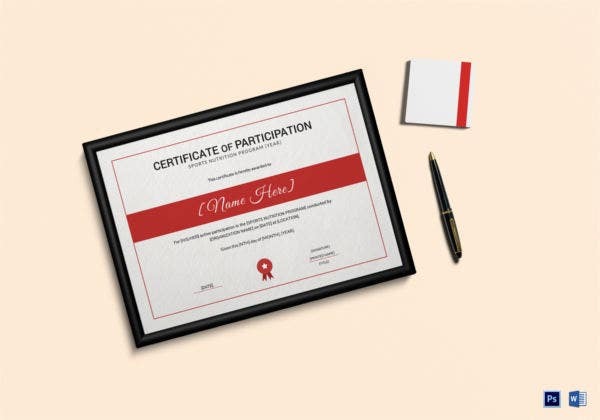 In this case, the certificate of completion of a course in the subject functions as a license. You may also see Certificate Samples. 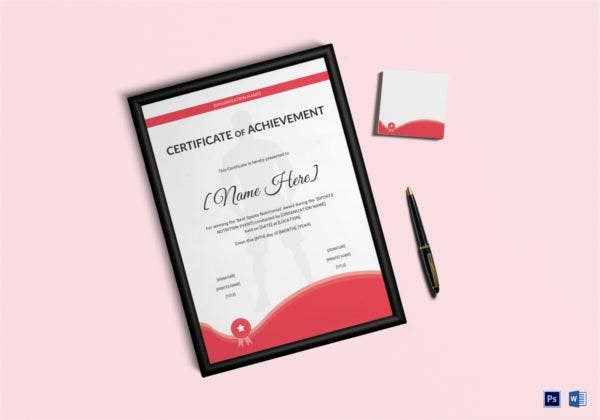 Now, to design a certificate like this can be pretty complicated; to make it easier for yourself, you can use these certificate templates found below.You can also see Certificate Template. This sports nutrition certificate keeps the design rather simple and to the point. 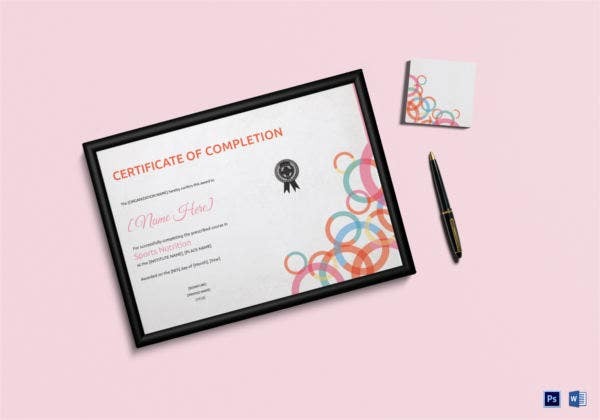 Also, the use of colours on the certificate template makes it look attractive and appealing. The certification itself as present on the template, looks attractive and appealing. It is neat and tidy, thus preventing itself from looking clumsy. Also, the template comes with word and psd compatibility. The blue cross forming the border of the template goes with the purpose and hints at the overall theme of the template. Plus, it comes with a simple and subdued background which adds to the charm. 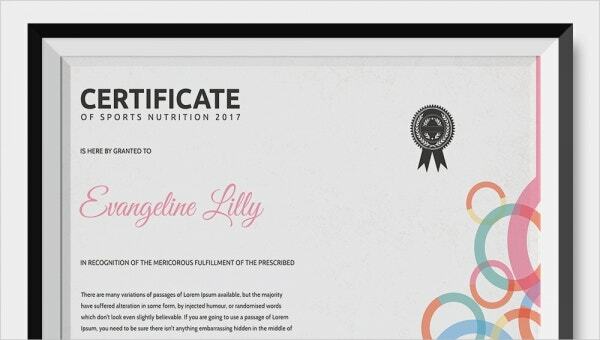 > What are Sports Nutrition Certificates? As you must be knowing already, sports nutrition is related to the study of the nutritional requirements of athletes. Common sense tells us that athletes have different dietary requirements from ordinary people; naturally, they need to follow a strict regime as provided by a sports nutritionist. To practice as a sports nutritionist, you need to be certified by a recognised institution. That is where these certificates come in. 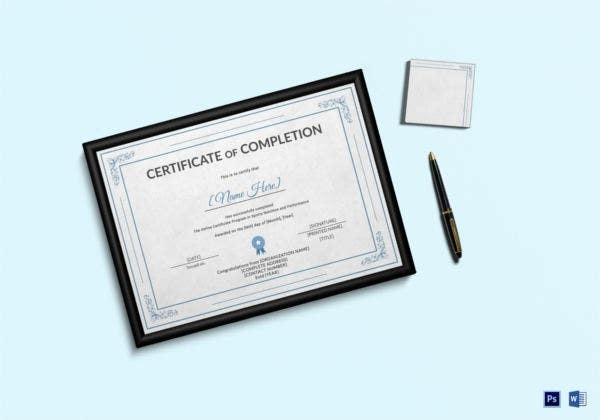 The certificates state that the person in question is licensed and skilled enough to set up his or her own practice. 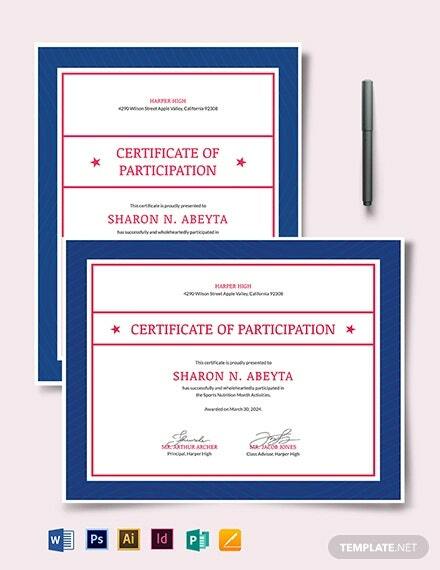 Thus, the certificate templates you see here are designed keeping in mind the specific requirements of the topic. 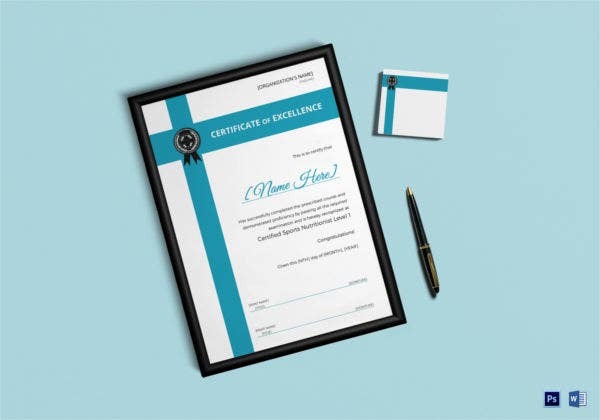 > Why should you go for Sports Nutrition Certificates? The templates have been designed by professionals who know exactly what you want and need. The templates have been designed after extensive research and study. The templates are 100 % customisable and editable. That means, most of the elements that you see on them, including the colour, the text and the graphics, are edited. The templates come in easy to use formats like word or psd. The sports nutrition templates you see here are exceptionally easy to use. All you have to do is go through the templates, select the ones that meet your requirements, download them, go through the sample provided to you, make changes and edits as and where necessary and then print them.